In the fall of 2010 Crawford Renewable Energy, LLC (CRE) announced plans to build a “tire-fired” power plant in Greenwood Township of Crawford County. The facility is designed to produce 100 MW of energy by burning used, recycled tires in two circulating fluidized bed (CFB) boiler systems. The design of the facility includes several pollutant emission control technologies. These types of equipment remove a portion of the pollutants from the exhaust. As nice as it is to think of tires simply “disappearing” rather than being land-filled, when any hydrocarbon fuel source is burned, such as a tire or coal, a multitude of toxic and carcinogenic compounds are released. And most of these pollutants cannot be captured using control technologies, so they are emitted into the air. The facility is planned on an 80 acre industrial park land parcel. The control equipment includes a CFB scrubber, a fabric filter baghouse, and a regenerative catalytic reactor. The flue gasses will then be emitted through a 325 foot tall stack. A CFB scrubber uses limestone to decrease sulfur emissions. The regenerative catalytic reactor is used to reduce NOX. The fabric filter baghouse is a series of screens and filters that remove the majority of the mass of particulate matter. The majority of the mass of particulate emissions are removed by capturing the coarse fraction of particles, which are particles with larger diameters and mass, but do not pose a significant health threat. Baghouses and other particulate control devices (PCDs) are not as efficient at capturing the fine and ultrafine fraction of particulate emissions, which have smaller diameters. 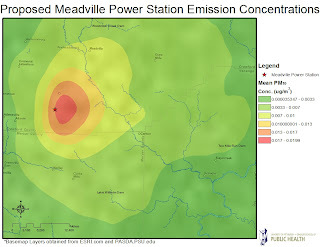 The fine and ultrafine modes of particulates are the most hazardous, and are directly related to asthma exacerbation, chronic obstructive pulmonary disorder (COPD) and other forms of respiratory disease. 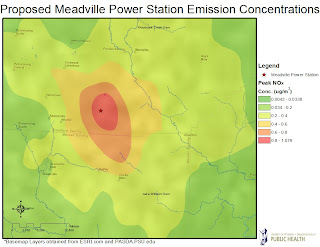 The emissions and deposition pattern from this facility were modeled by the Center for Healthy Environments and Communities to assess the impact on local air quality. Several pollutant species were modeled, including sulfur dioxide (SO2), oxides of nitrogen (NOx), and both the course and the fine fractions of particulate matter, PM10 and PM2.5 respectively. Concentrations of these pollutants at ground level in ambient air were modeled using the CalPUFF non-steady state dispersion model. These will not be the only pollutants transported, rather these are efficient to model. Plumes of some of the other contaminants will most likely have similar patterns. 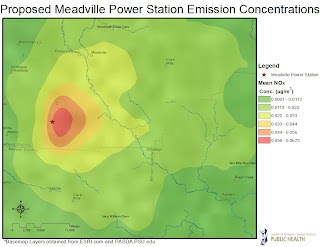 The mean, or average, levels of predicted ambient air concentrations are presented first for each pollutant (Figures 1, 3, 5, and 7). 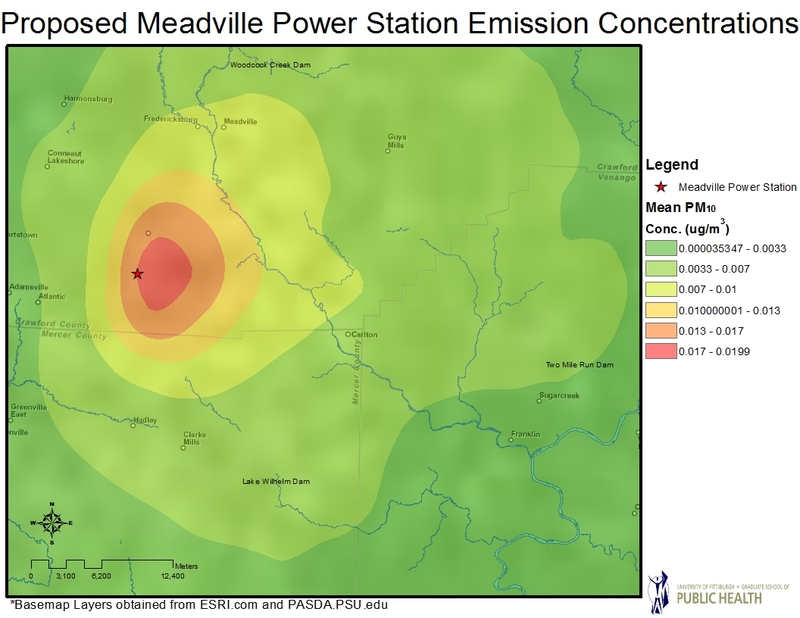 These maps show the average concentrations of the pollutant that are predicted to occur while the facility is operating. The concentrations are averaged over a one year period. Next, peak day concentrations of pollutants are presented (Figures 2, 4, 6, and 8). These concentrations are the highest predicted concentrations for a single day that would occur when the facility is operating normally, over the one year modeled cycle. 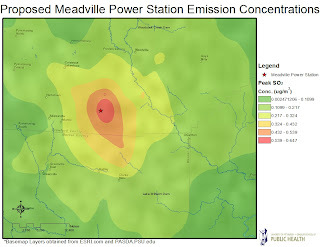 The concentrations shown in all of the maps are only attributable to the proposed facility, and do not include any other sources of pollution or background concentrations of pollutants. 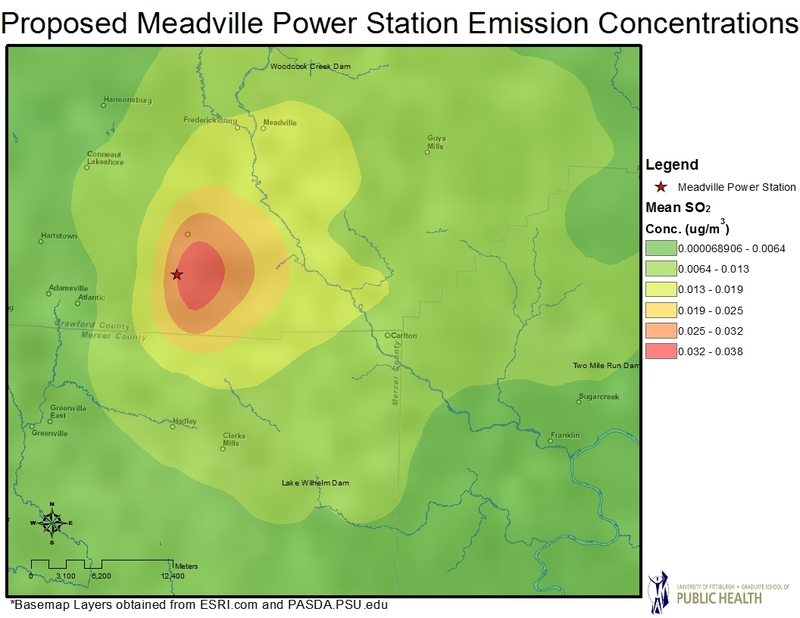 These values essentially show the increases in ambient air pollutants that will occur when the proposed facility is operating. For this 80 acre industrial park, a square “fence-line” with 570 meter sides could surround the park. Typically, exposures are expected to be very limited within the fence-line because the area is inaccessible to the public. Concern is focused on the exposures that may occur beyond the limit of the fence-line. If the smokestack is assumed to be located at the center of the park, it would be at a distance approximately 235 meters from the fence-line. Using the scales on the maps, it is evident that the even the highest concentration gradients shown in the maps would occur beyond the fence-line. When the facility is operating, it is reasonable for the surrounding communities to expect exposures to even the highest concentration gradients shown in the maps. Figure 1. 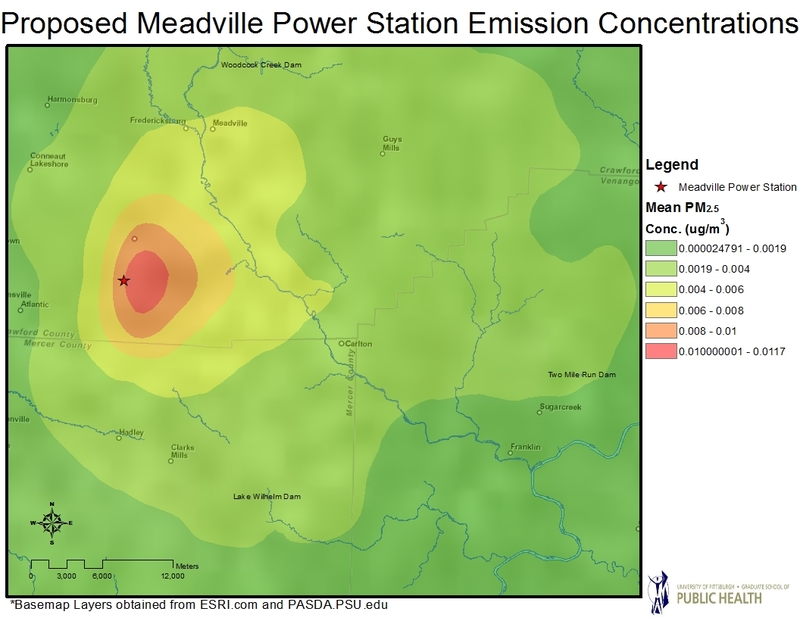 Mean values of modeled SO2 ambient air concentrations at ground level, attributable to emissions from the proposed CRE plant. Figure 2. 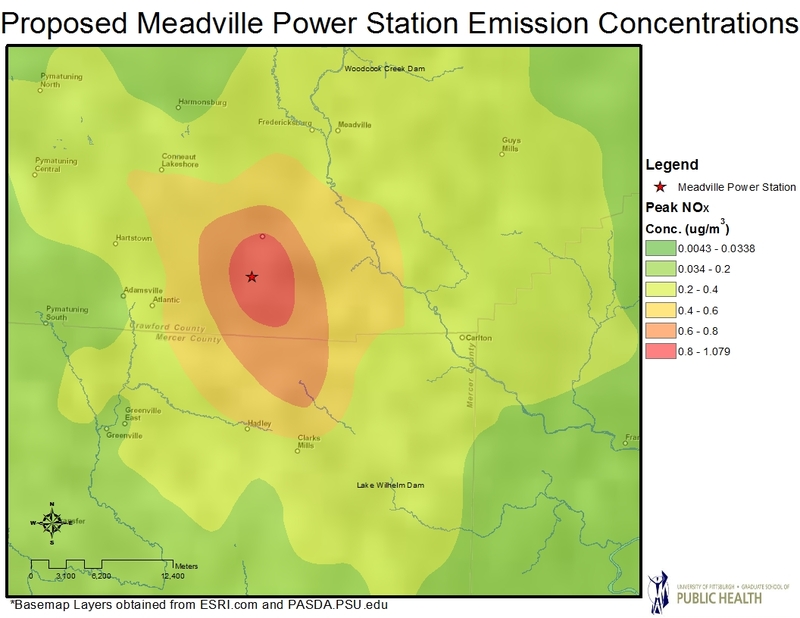 Peak day values of modeled SO2 ambient air concentrations at ground level, attributable to emissions from the proposed CRE plant. Figure 3. 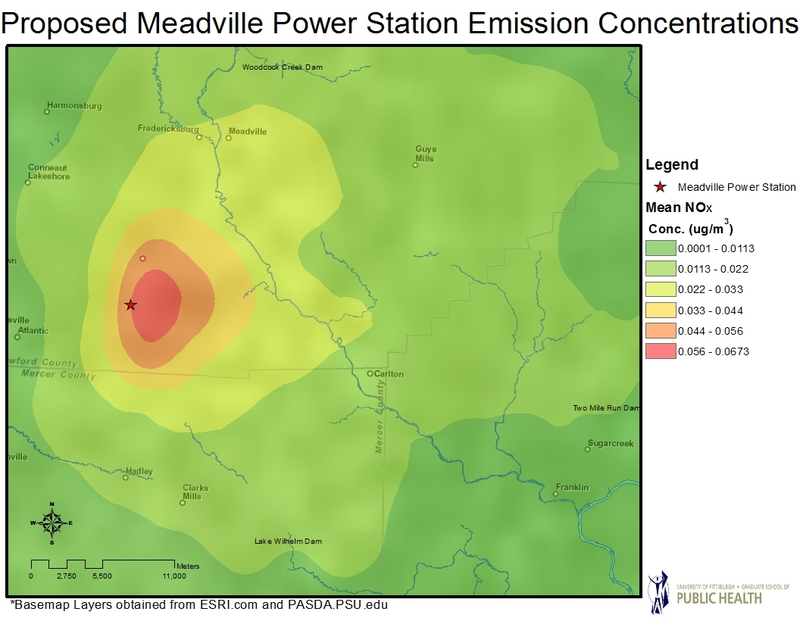 Mean values of modeled NOX ambient air concentrations at ground level, attributable to emissions from the proposed CRE plant. Figure 4. Peak day values of modeled NOX ambient air concentrations at ground level, attributable to emissions from the proposed CRE plant. Figure 5. 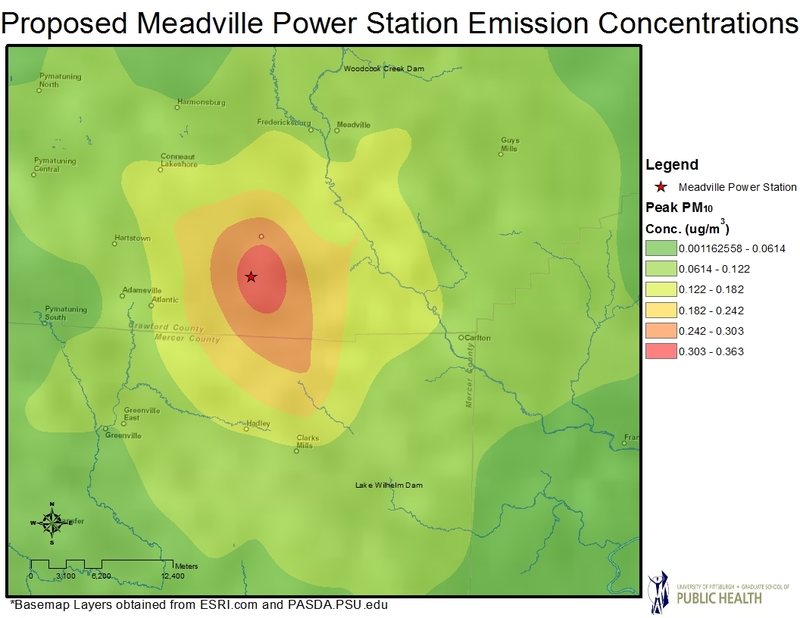 Mean values of modeled PM10 ambient air concentrations at ground level, attributable to emissions from the proposed CRE plant. Figure 6. Peak day values of modeled PM10 ambient air concentrations at ground level, attributable to emissions from the proposed CRE plant. Figure 7. 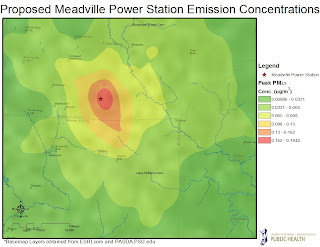 Mean values of modeled PM2.5 ambient air concentrations at ground level, attributable to emissions from the proposed CRE plant. Figure 8. Peak day values of modeled PM2.5 ambient air concentrations at ground level, attributable to emissions from the proposed CRE plant. Thank you for posting this on your website. Since I live in the targeted area I am very disappointed they would put a plant here like this. I have no doubt that they will contaminate this entire area with the effluent from burning tires….